Our MoB Kids summer program inspires your child’s curiosity and creativity with art, science, history, design and technology activities delivered by arts educators. Join artist Carol McGregor for a family friendly making session based on the tradition of possum skin cloaks. 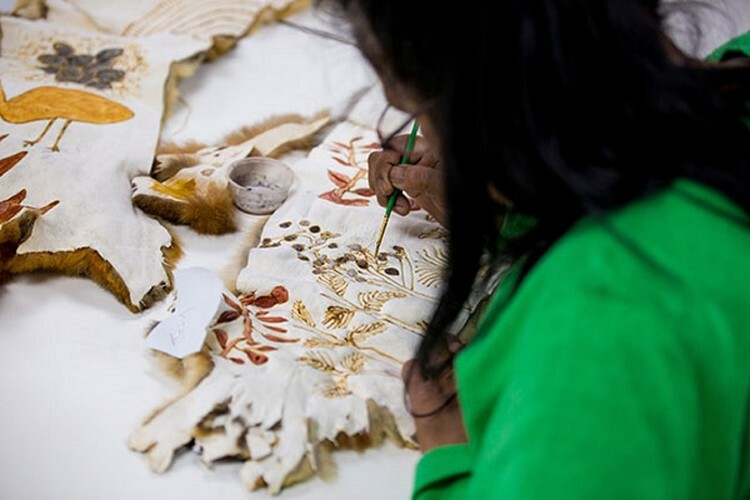 Learn about the significance of possum skin cloaks as an artform, and as a means to strengthen community and individual identities. Discover painting techniques and create your very own possum skin armband to take home. Carol is of Wathaurung (Victoria) and Scottish descent. Through her artistic practice, she explores this rich cultural identity of diverse ancestry and lived experience. Please note children must be accompanied by an adult.